There will be 100 MBBS and 60 nursing seats in the institute, AIIMS Bilaspur. Shimla: Himachal Pradesh Chief Minister Jai Ram Thakur and Union health minister Jagat Prakash Nadda performed the groundbreaking ceremony of the AIIMS at Kothipura in Bilaspur district Monday. The 750-bedded facility will be built at the cost of Rs 1,351 crores within two years, Thakur said. He said there will be 100 MBBS and 60 nursing seats in the institute. The new AIIMS which will have 20 speciality and super speciality departments including 15 operation theatres will be completed in 48 months. 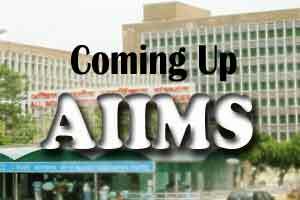 It will also have residential complexes and allied facility services on the pattern of AIIMS, New Delhi. Nadda said the premier institute was being constructed under the Pradhan Mantri Swasthya Suraksha Yojna. He said the institute will also have Affordable Medicine and Reliable Implants for Treatment (AMRIT) outlets and Jan Aushadhi Kendra where medicines would be provided at subsidised rates to the poor and needy. Nadda said the project would be executed by NBCC limited and would have 15 operation theatres and 20 speciality and super speciality departments. In addition, it will also have an AYUSH Department with 30 beds for providing treatment in the traditional system of medicine, he said, adding that 14 AIIMS had been sanctioned for different states by the Centre and Himachal was fortunate to get one of the premier institutions.